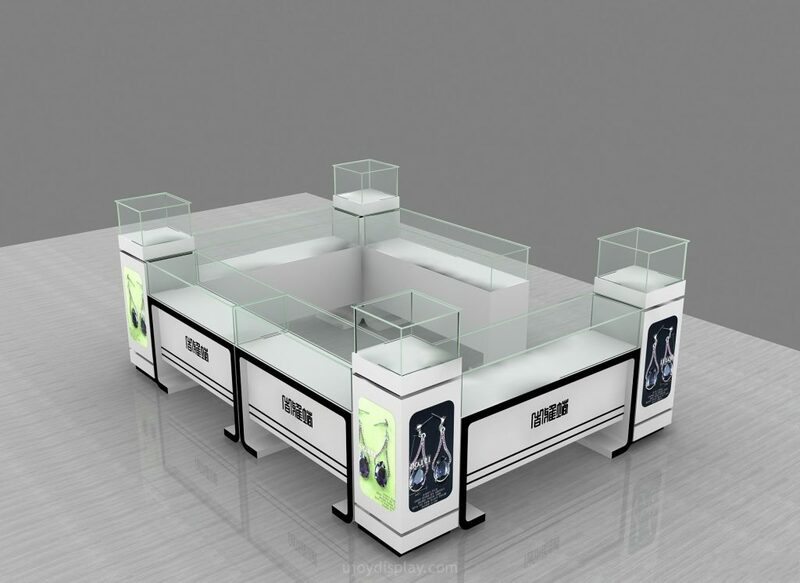 Hey, friend, are you looking for right jewelry kiosk design? are you worried can’t find a direct supplier help you build it, I’m sure this article can give that you want. Jewelry service always very popular all around the world. when you walked into the shopping center, You’ll notice that the jewelry cabinet is always on the first floor near the door and elevator. If you plan to start your own jewelry store, As an initial entrepreneur, it is necessary to understand the following points. 1. Confirmed whole kiosk style. A right style for the whole store is very important, it can help you attract more customer. for almost jewelry store, color and light choice is very important. 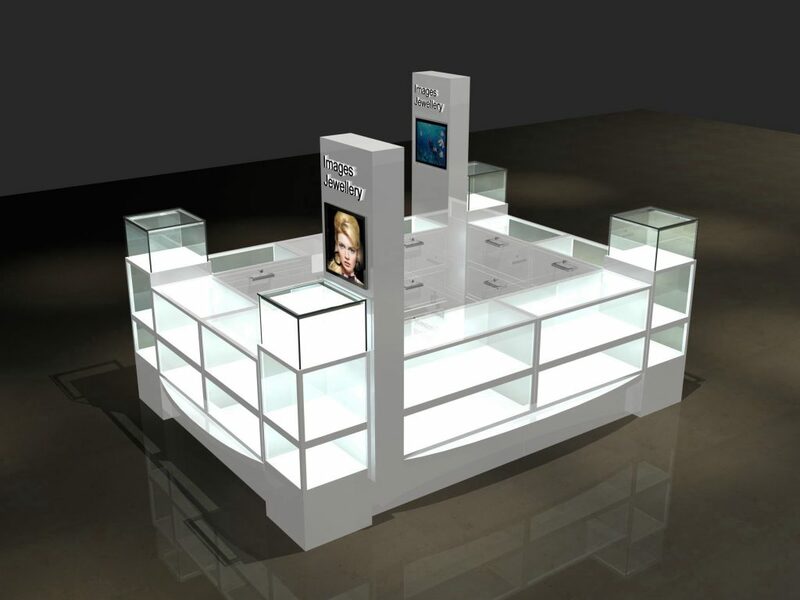 most jewelry kiosk with many glass display showcase. of course, must give each plate enough light to make it bright. so that the jewelry can more exquisite. 2. Get a location in the mall. If you wanna start a mall jewelry kiosk, must rent a location. usually, a lease size is 3m by 3m, 4m by 3m or others. you can apply for depending on your need, of course. it depends on your budget. If you have your own storefront, then you can decide all the details on your own. On the contrary, if it is used in the shopping mall, it must meet the criteria of the shopping mall, ( usually mall criteria mainly for material, height, and electrical wire safety, if your design team enough professional and experience, it’s Easy to approve）. can try to expand the business, rent a big area, it can give customizer a good service. 3. Make your jewelry kiosk Unique. In order to make your business better, A good service and high-quality products are essential, Second is the store style. wanna become a welcome store, no need to make it so luxury, enough exquisite and comfort is ok. This is why we must make it integrate with the surroundings. match some lightbox and Luminous acrylic logo is necessary, Make it more attractive. As a direct supplier, before designing we will confirm the shop layout, style, color match, material request etc . also can give you some professional advice. then we will start design and put all of your ideas on it. confirmed the design and start making drawings. ( you can see all details here, with each part size material and surface finished details, will according to the drawings production ) . Thanks for your time and reading, if you wanna get further info or interested start a jewelry kiosk like this one, pls feel free to contact us at below, thank you!